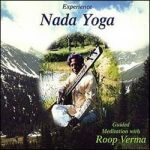 Experience the therapeutic effects of music therapy through Roop Verma's soothing sitar music, his chanting of ancient sound syllables and verses, his live performances, recordings, or, the very best, at his Nada Yoga Intensives of sound healing and sound therapy. Sound therapy, also known as music therapy or sound healing, is an automatic process of deep inner healing set in motion through the right combinations of sounds that resonate within and fill the space around us. 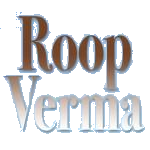 Since we are a product of our immediate environment, Roop Verma's music aims to treat the environment first, with music based on the chemistry of sound from the ancient sacred music of India. 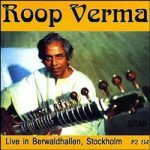 From the hands of a true master of sitar, people around the globe have experienced Roop Verma's music as healing, enjoyable, relaxing, calming, meditative, therapeutic, transforming, elevating, and of course stress reducing. 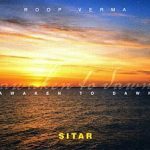 His music is a perfect compliment for therapists of different disciplines, yoga practitioners and teachers, meditators, parents to soothe children and themselves at bedtime, people who prefer gentle music to wake up to, and even for busy professionals who need to unwind. It creates a relaxing atmosphere for any type of activity. The ancient musicologists and mystics of India, who developed sound therapy, observed that Sound has an invincible power. Nothing is an exception to its laws of natural harmony. Sound therapy is an arrangement of sounds, in a specific order and design, to invoke different feelings that influence our very DNA. Much scientific study has been done relating how our feelings affect our bodies and minds. 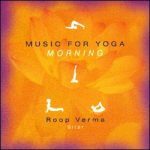 When sounds are arranged according to the principles of the ancient music of India, which are based on the natural scale, they are naturally therapeutic. 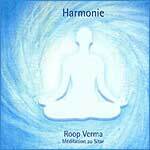 A master musician, like Roop Verma, can help the listener experience sound healing. 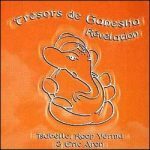 The music therapy of India is a 'science of awareness' and a vehicle to still the mind. Therefore, the system of Nada Yoga was born - the science of using sound vibrations to bring the moving pendulum of mind to a "stand-still." Musical sounds have a natural harmony between them. When combined in a specific manner, they have a dynamic and powerful effect in balancing the energies of the body. 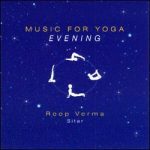 Therefore, the arrangement of tones for different times of day, night and seasons, and how they relate with the changing states of body chemistry, were at the very center of study for ancient Indian masters of 'sound' and 'music'. The human body is like a musical instrument, expressing numerous frequencies and rhythms in a constantly changing spectrum of life. It responds and resonates in consonance with music, sounds, speech and thought from the environment, and undergoes changes of heart beat, breathing, blood chemistry and circulation of energy in various organs of the body. Certain sounds have negative and destructive effects over the body. When such sounds are received and registered by the Chakras (The Energy Centers) and cells, the balance or equilibrium of the energies is disturbed. This abnormality produces a pressure over various organs, systems and cells and ultimately over the entire body. --Purifying and re-organizing the energy patterns that surround the individual in the form of an ever-expanding and contracting magnetic field (AURA). --Penetrating the human body through the skin, the chief sensory organ, and balancing the frequencies of Chakras and cells, thereby regulating the flow of energy throughout the entire body. Music therapy deals with problems related to the mind and its complexes; to emotional imbalances; and finally to physical problems.